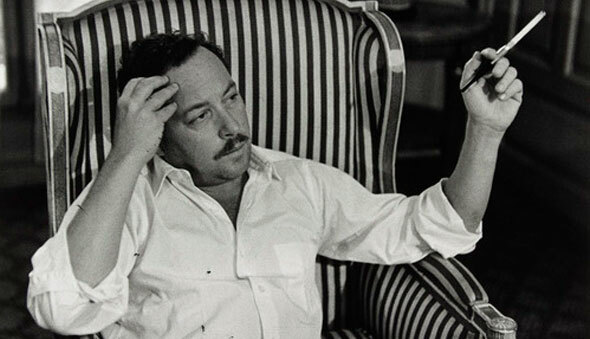 Tennessee Williams’ journals – which are very succinctly analyzed on The Morgan Library & Museum website – provide great insight into the mind of a talented and successful artist who struggled with crippling self-doubt and depression. However, as the Morgan Library piece points out, he often looked back on old entries and cringed at how whiny he could be. 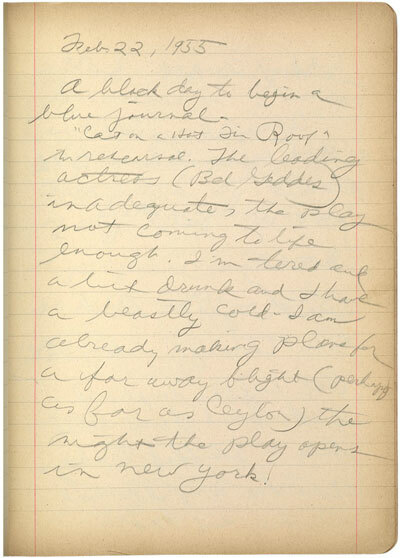 A black day to begin a blue journal – “Cat on a Hot Tin Roof” in rehearsal. The leading actress (Bel Geddes) inadequate, the play not coming to life enough. I’m tired and a bit drunk and I have a beastly cold – I am already making plans for a far away flight (perhaps as far as Ceylon) the night the play opens in New York! It’s important to note, however, that, despite the fear and loathing on display in this entry, the play opened to rave reviews!